Ralph Jackson Obituary - Newport, Arkansas | Jackson's Funeral Homes Inc.
Mr. R.T. “Sonny” Jackson of Newport, Arkansas, departed this life on Monday, June 26, 2017, at the age of 85. He was born March 17, 1932, in Newport, the son of Hattie Elizabeth (Gibbs) and Ralph Jackson. Mr. Jackson retired from Brown Jordan in 1996, following 32 years of service as a welder. He enjoyed woodworking, and used his carpentry skills to make many birdhouses. Mr. Jackson was a talented musician, who loved playing the steel guitar. He enjoyed going to the lake and spending the day on his pontoon. Mr. Jackson liked milkshakes, ice cream, and McDonalds coffee. He was always smiling, and loved to spend time with his family, especially his grandchildren. Mr. Jackson will forever be remembered for his fun and loving nature, his devotion to family, and his great love of music. He was a member of the Midway Church of Christ. Mr. Jackson was preceded in death by his first wife, Olia Jackson; one sister, Louise Osborne; and his parents. 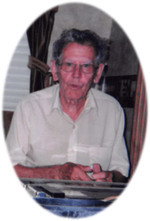 He is survived by his wife of 41 years, Anna Bell (Davis) Jackson, of Newport; two sons, Jay Fraser, wife Kelly, of Jonesboro, and James Thomas “Jimbo” Jackson and wife, Cambrin Name-Jackson of Hot Springs; three daughters, Linda Boyd of Batesville, Joey Hembrey and husband, Richard “Bub”, of Newport, and Carolyn Jackson and husband, Mark, of Newport; his daughter-in-law, Lougean Fraser of Wynne; ten grandchildren, Jacy Long and husband, Eli, Hannah Hembrey, Cody Hembrey, Timmie Jeffrey, Zachary Jeffrey, Samantha Knight, Jeremy Dyer, Damian Jackson, Christopher Jackson, and Haley Reed Bowen and husband, Clint; and six great-grandchildren. Friends may visit at the funeral home Monday, June 26, 2017, from 6:00 to 9:00 p.m. Funeral services are 2:00 p.m. Tuesday, June 27, 2017, at Jackson’s Newport Funeral Home Chapel with Mr. Llano Robinson and Mr. Shane Blevins officiating. Interment will follow in Coffeyville Cemetery. Those honored to serve as pallbearers are Mark Jackson, Nick Jackson, Ricky Gibbs, Harold Gibbs, Henry Gibbs, and Clint Jackson. Honorary pallbearers are his grandsons, and all former Brown Jordan Employees. Memorials may be made to the Paragould Children’s Home, 5515 Walcott Road, Paragould, AR 72450.